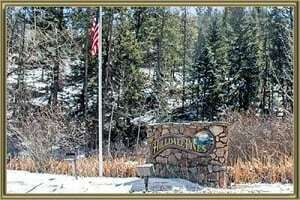 Hilldale Pines is an affordable mountain subdivision where you can find cabins, weekend getaway homes, vacation rentals, and single family residences. Located southeast of Hwy 285 and S Turkey Creek Road, this is the farthest south subdivision in Morrison CO. You will find 2-story and ranch homes that sit on 1-7 acres of beautiful wood forest surrounded by wildlife such as deer, elk, squirrels, and hawks. Enjoy the breathtaking sunrises and sunsets sitting on the large decks and keep your vehicles snow free in the winter by parking in the 2-3 car garages. The Homes for Sale in Hilldale Pines are unique in style, average 1,500-4,000 square feet, and most offer walk-out basements. Homes in Hilldale Pines subdivision were built beginning in the 1970’s and were mostly completed in the late 1990’s; however, there are still a few vacant lots waiting for a new home. Your outdoor adventures await with plenty of hiking, backpacking, biking, and horseback riding surrounding you. Head over to the 623 acre Meyer Ranch Park in the winter for cross-country skiing and sledding for the kids. See what your home is worth With an Instant Home Valuation Online. Want advice on selling your house? We provide a free staging consultation, pre-listing prep plan, and a Hilldale Pines real estate market analysis. Call us at 303-325-5690 to learn more. New to the Area? Call our Hilldale Pines real estate agent at 303-325-5690 to schedule your tour of Homes in Morrison CO.